Your WOD — Which Includes Ground-fighting Conditioner #4 | Robert Mitchell Jr.
8-minute Blast. As many sets as you can in 8 minutes of 10 Steam Engines, 10 Zombie Squats, 10 Staggered Push-ups, and 10 Pikes — take as few 12-second breaks as you need to finish, preferably none. 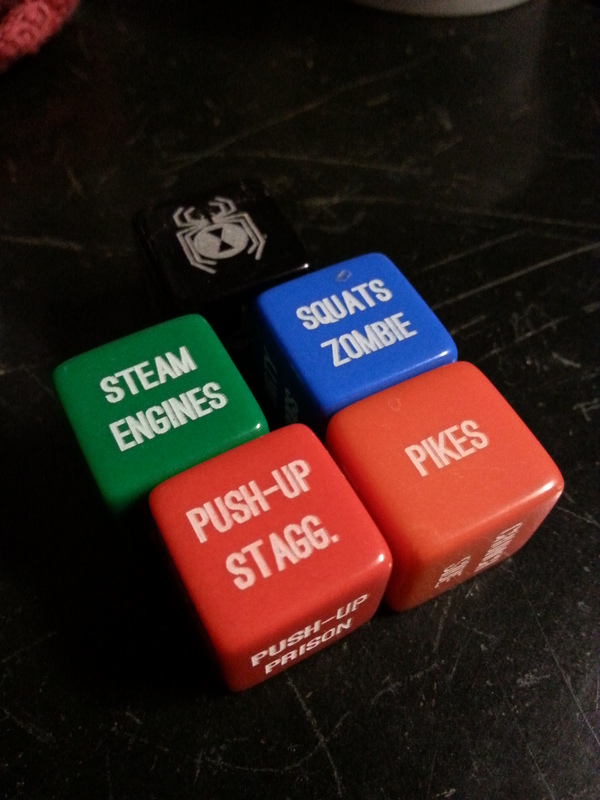 I made 5 full sets with zero breaks (PTDICE are great for generating workouts like this). Ground-fighting Conditioner #4. Put on your MMA gloves and set timer for 10 minutes. Shin or Knee Ride bag, face post, and punch “head” 10 times. Slide leg over into mount and strike 10 times. Body lock back and roll to bottom position. Push up bag with one hand and strike it 10 times with the other. Hip escape and advance back to Shin or Knee Ride and repeat as many times as you can before the timer beeps. Tarot Meditation. Set timer for 10 minutes and dim the lights. Stand up Tarot Trump XII “The Hanged Man” — lean it against something like a stack of books — and meditate on the image with eyes narrowed until the timer beeps. Fully relax and experience the symbolism. This entry was posted in Martial arts, Mysticism and tagged conditioner, tarot. Bookmark the permalink. Pingback: Candidate Net Worth Data and Your WOD | Robert Mitchell Jr.